Classic view from the mountain pass Kleine Scheidegg. This walking trail and the Wengernalp railway (slightly to the left outside the frame) connect the towns of Grindelwald and Lauterbrunnen. Visible here are the Eiger and Monch mountain peaks. To the right, just outside the frame is the famous Jungfrau. 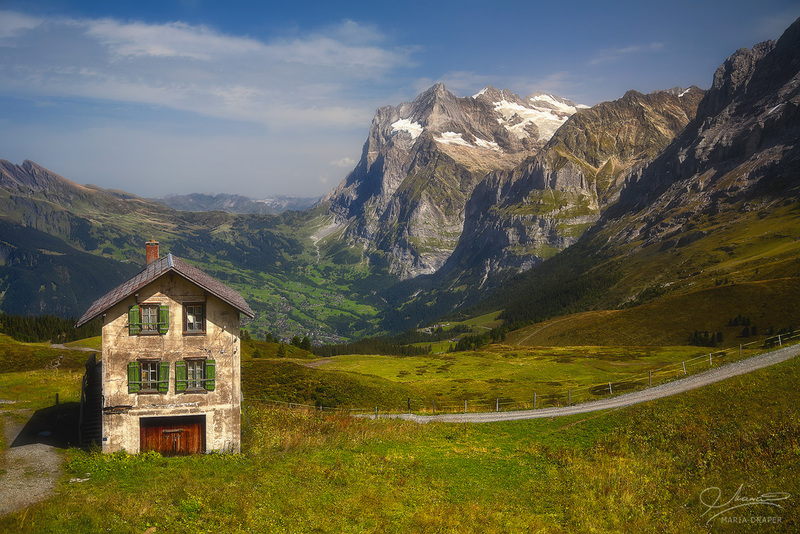 Kleine Scheidegg is a very popular hiking destination in Summer, and the center of ski area in Winter.